Charities like the National Council for the Blind of Ireland are heavily reliant on volunteers. Providing services to more than 8,000 people with sight loss every year , generous volunteers who donate their time, skills and cash are a vital cog in the fundraising wheel. 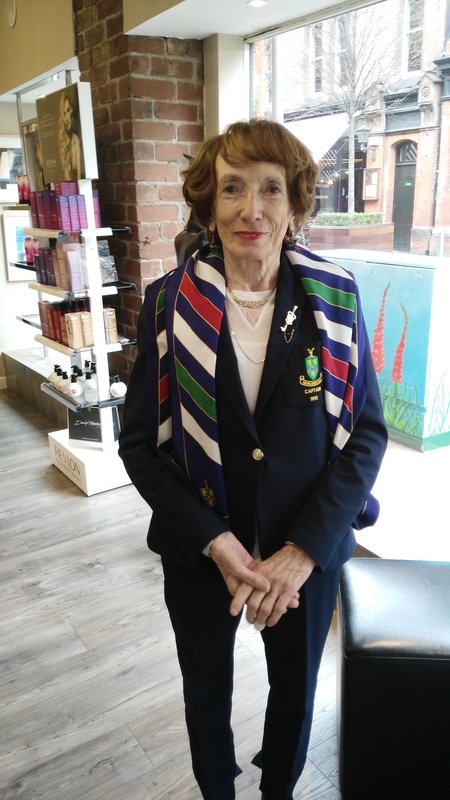 In Glasnevin, a committed NCBI volunteer is gearing up for the much anticipated Granard Cup to be held in Newlands Golf Club in August in aid of the National Council for the Blind of Ireland . Lylia Crossan says volunteering with the charity, which provides practical and emotional supports to people with sight loss, says, “It is an activity I enjoy immensely and it is a great cause to boot”. She explains that coming on board came at the right time of her life. “I was just retired from work so the timing was perfect, I now had the time to give .One of the girls in the NCBI had a huge task to try and organise the whole Granard Cup Golf event so I said I would give her a hand. That was 6 years ago and I’m still giving her a hand! There is a lot of work involved in getting all the clubs registered, we’ll have up to 100 clubs from all over the country. It’s an important role really for the day as you have to take all the score cards , make sure all the results are right and present the prizes . There is a lot of organising to do to make sure it all goes like clockwork. NCBI really consistently comes up with great events for a wide cross section of interests. Golf is my passion so it makes sense for me to volunteer for the Granard Cup”. Lylia continues “There really is something for everybody to get involved in, NCBI has 98 charity shops so you could volunteer in any of those, you have loads of choice. It takes huge effort to run a charity the size of NCBI so they really value their volunteers”. Roisin Walsh of NCBI, who works alongside Lylia for the event says “She is worth her weight in gold to us, she does a Trojan job and all with a smile!”. The Granard Cup Ladies Tournament takes place on the 13th August 2018. Entry fee is €5 per player. All funds go directly to NCBI’s Children’s Services.